Thank you so much to everyone that stopped by JuicyBomb Arcade Yard Sale, it was nice meeting some of you while I was rezzing stuff on Chelle! I also broke my “one play” rule this year and went nuts on a few machines, but thankfully I was able to resell most of the extras already. There’s stuff still being added daily by other residents, so come check it out if you haven’t! I had so much fun decorating my house with new Arcade stuff and a couple of items from faMESHed. 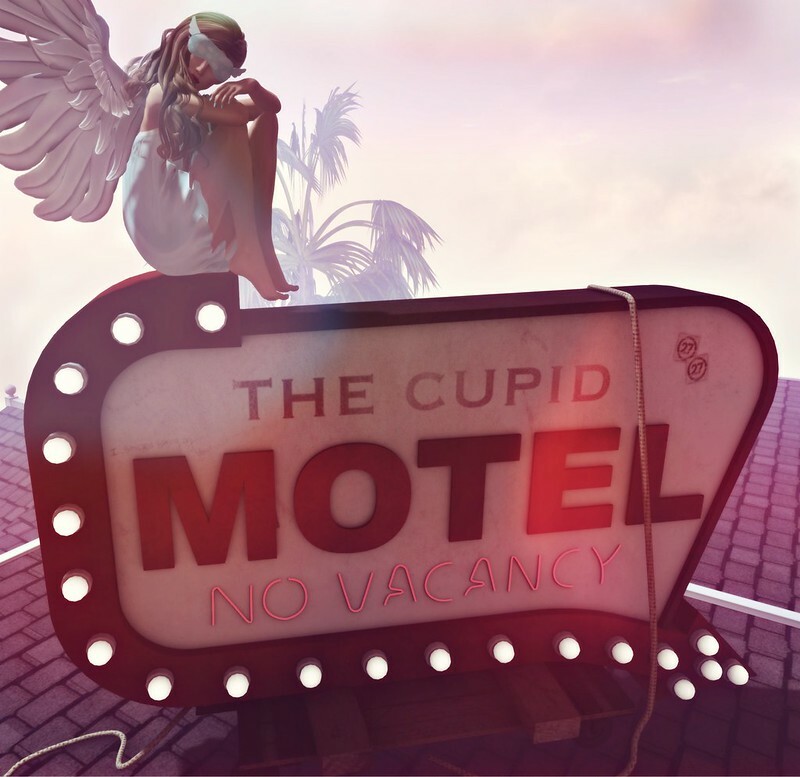 I really love this The Cupid Motel Sign from Seven Emporium. It’s going on my roof! This sign is scripted with tons of poses for Singles and Couples. I’m using a Singles one called Waiting, in the picture above, isn’t it cute? It was nice to meet you, you looked otterly adorable.